The latest Renton-built version of Boeing’s narrowbody jet is the company’s contender in the competition with Airbus for the crucial short-haul market. Watch the first flight. 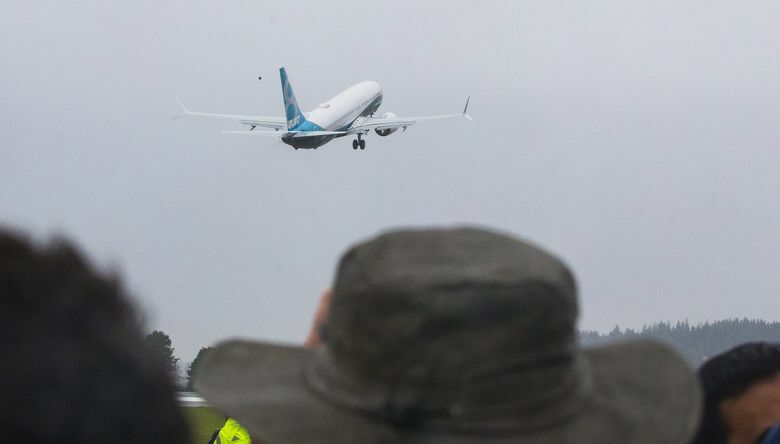 Just over seven weeks after it rolled out of the paint hangar, the first 737 MAX — the “Spirit of Renton” — had a smooth first flight Friday, proclaiming Boeing’s ambition to stay competitive against Airbus for the next decade in the crucial short-haul airliner market. As rain closed in, bringing the threat that low clouds might delay the flight, the jet took off slightly earlier than expected from its namesake city at 9:48 a.m. piloted by Capt. Ed Wilson, 737 chief pilot. To avoid more tough weather, he and co-pilot Craig Bomben, Boeing’s chief test pilot, steered away from eastern Washington and flew out over the Olympic Peninsula. The pilots stayed mostly at 15,000 feet and limited the jet’s speed to 250 knots, or 288 miles per hour, during this initial flight test, as they conducted the first basic checks of the airframe. “We got everything done we needed to get done today,” Wilson said. The MAX landed smoothly in a blustery crosswind at Boeing Field less than three hours later, at 12:32 p.m.
Erin Henderson, one of the MAX flight test engineering leads at Boeing Field, said she was delighted with the successful flight after her team worked “many long hours, long days, with hardly any time off,” to make it happen. 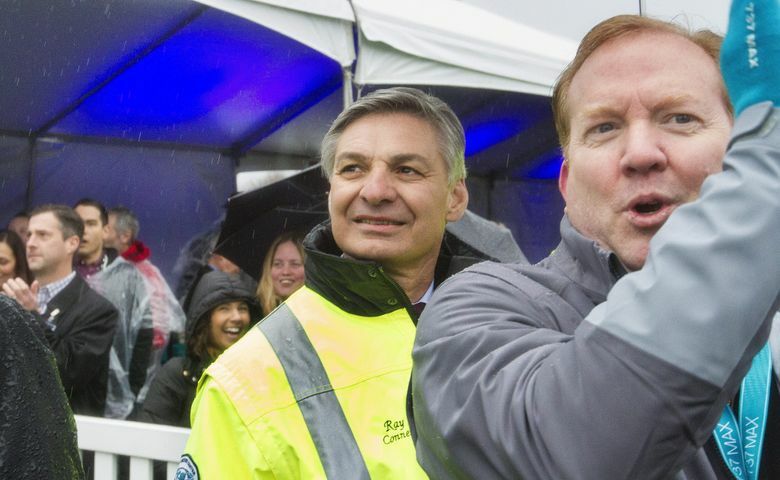 All of Boeing’s top local executives were there to watch the take-off and landing. Looking equally happy, Jean Paul Ebanga, chief excutive of CFM International — which builds the new LEAP engines on the MAX — snapped photos with his phone as the pilots emerged from the plane. The latest — and surely the final — revamp of Boeing’s stalwart domestic 737 narrowbody jet that first flew in 1967, the MAX comes in three sizes, seating 126 to 220 passengers. The flight test plane has a large 8 on the tail, signfiying that it’s a MAX 8, the medium-sized member of the family. When configured for two classes, it seats 162 passengers. The chief distinguishing feature of the MAX is the pair of much larger LEAP engines, which have a fan diameter of 69.4 inches compared to the 61-inch diameter fan on the current 737. With these latest-generation engines — along with improved aerodynamics, including new split wingtips — Boeing says the MAX design is 14 percent more fuel-efficient than today’s 737. Bomben said that while the plane handles like the current 737 and will be an easy transition for pilots trained on the current model, it also provides significant improvements. The pilots like the big, new flight display panels that resemble those in the 787. And passengers, as well as people living under the flight path, should appreciate the noticeably quieter engines. The nacelles, or the pods around the engines, have a special chevron-fringed rear outlet similar to that on the 787 that is designed to reduce noise. The first flight begins about a year of flight tests to achieve certification of the airplane by the Federal Aviation Administration (FAA). Delivery of the first jet to Southwest Airlines is expected in the third quarter of 2017. Thereafter, he said, it’ll fly six days a week through the summer. The second of four test planes will follow the first into the air in about a month, he said. The MAX’s first flight comes just nine days after the first delivery of the rival Airbus A320neo to German carrier Lufthansa, underlining the fact that development of the Boeing jet is running more than 18 months behind its competition. In addition to that head start, Airbus’s neo has consistently won more orders than Boeing‘s MAX, opening up a widening advantage for the European jet maker in this market segment. The current model 737s and A320s divide the market roughly 50/50. But at the beginning of this year, Airbus had firm orders for 4,471 neos compared with Boeing’s orders for 3,072 MAXs — a 59/41 market split. Most of the Airbus advantage comes from the largest model of its neo family, the A321neo, which has more than 1,000 orders. The corresponding 737 MAX 9, which has just over 200 orders, simply cannot match that plane’s performance. While that’s a big win for Airbus, the majority of orders are for the medium-sized Airbus A320neo or the Boeing 737 MAX 8 models. Scott Fancher, head of all airplane development programs at Boeing, calls that medium-size airplane “the heart of the market” — and that’s where the success of the MAX will ultimately be determined. 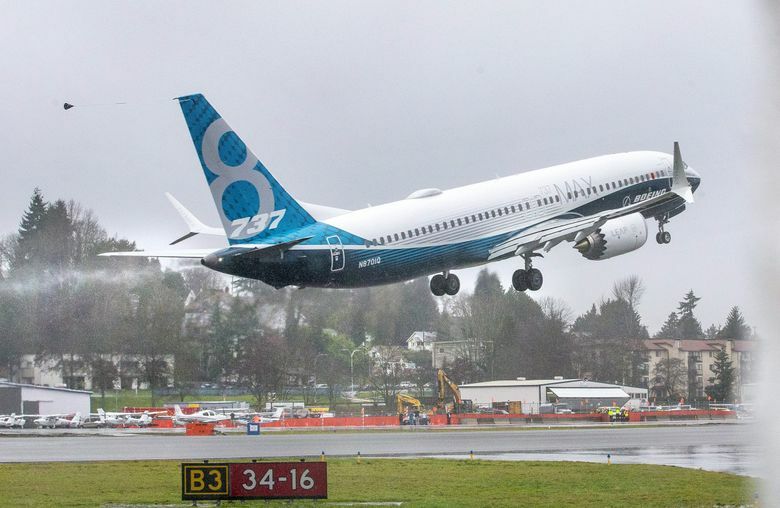 Interviewed at Boeing Field soon after the jet landed Friday, Fancher insisted the MAX 8 will maintain the 737’s existing fuel-efficiency-per-seat and maintenance cost advantage over its Airbus rival. “Head-to-head against the A320neo it really does much better economically,” Fancher said. Future sales of the MAX will rest heavily on whether the flight tests in the coming year confirm Boeing’s fuel-efficiency promise. The MAX also presents a manufacturing challenge, for which Boeing has marshaled impressive resources. The Renton final-assembly plant where the 737s are built has undergone a dramatic makeover aimed at lowering the cost and quickening the pace of production. Boeing has automated the fabrication of the 737 wings by installing fastening machines designed by Mukilteo-based engineering firm Electroimpact and has shifted the fuselage installation process to a moving line. At the same time, it has redesigned fixtures and moved equipment to make room for a third final-assembly line that will be dedicated to production of the MAX. So even as the early MAXs are built, Boeing will simultaneously raise 737 production from today’s rate of 42 jets per month to 47 per month next year, to 52 per month in 2018, and to 57 per month in 2019. By then, most of the 737s coming out of Renton should be MAXs. If Boeing is to maintain the 737 as a reliable cash generator, it must smoothly implement the transition to the MAX at these record-high production levels. 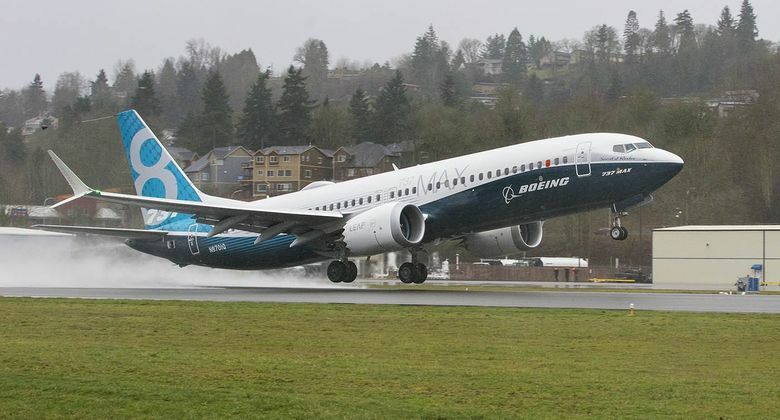 Keith Leverkuhn, vice president in charge of the MAX program, said that throughout 2016 Boeing will build the MAXs “at a relatively slow rate” on the separate, dedicated asssembly line while continuing to build the current model 737s at a very high rate on the other two lines. Soaring past any target a Boeing sales executive might have dreamed of in 1967, the MAX is set to to take future 737 deliveries well past the 12,000 mark. “We have now just ushered in the new era of the 737,” said Leverkuhn.